Our deep purple iris has flowered for the first time, purple is my all-favourite colour, so I used the photo of the flowers for the following photo. 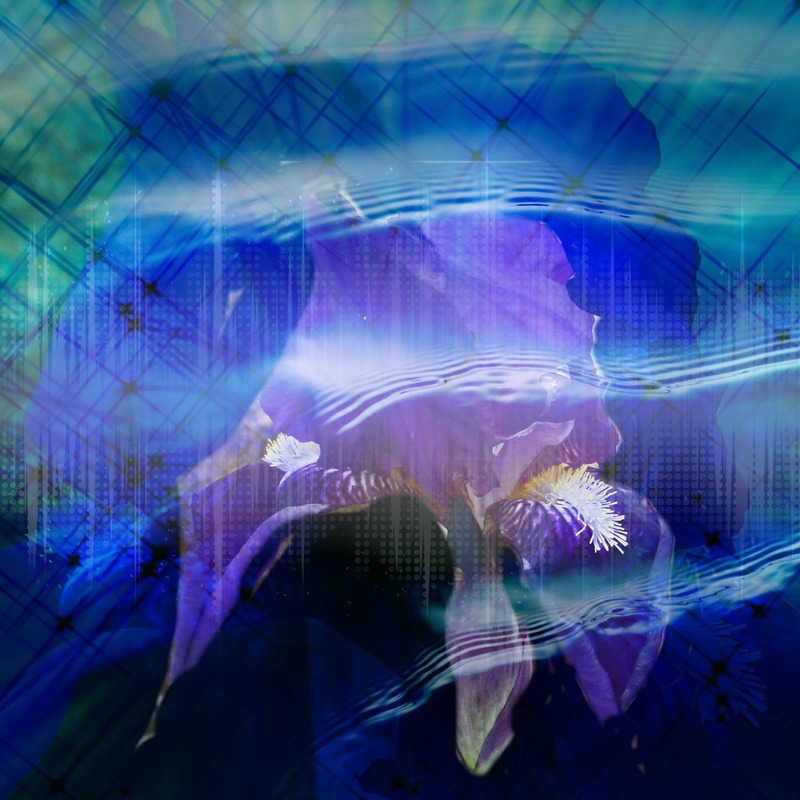 It has the purple flowers as a base, with some fiddling with PicMonkey gizmos, then I superimposed another photo of the purple iris over the digital art image already created. Simple but I love the result.